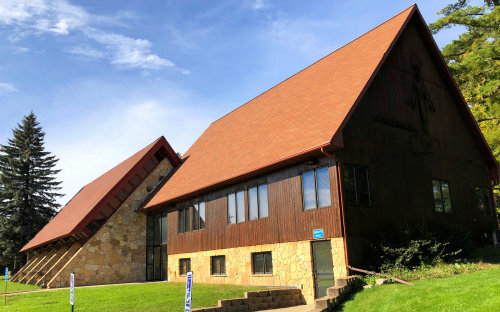 The Community Church of Walker, United Church of Christ mission is: to offer a welcoming church home to all, where friendships grow, spiritual needs are met, community concerns are addressed, and where "God is still Speaking." We are an inclusive church where regardless of your background you are welcome and membership is not required for communion. 10:00AM - Worship and Sunday school. 11:00AM - Join us for fellowship, coffee, and goodies immediately following the worship service. Check back frequently for news, events, and announcements! Hymns for this week, "Christ the Lord Is risen Today", "There Is a Name I Love to Hear", "The Day of Resurrection". Who is the United Church of Christ? We believe in God's continuing testament. This is why we are committed to hearing God's ancient story anew and afresh in our lives and in the world today. We try to remain attentive to God's creative movement in the world. Religion and science are not mutually exclusive, and your head and heart are both welcomed into our places of worship. We prepare our members and leaders to be engaged in ministry in the present and future church, and we embrace all kinds of communities and new modes of thinking. Why? Because God is still speaking. We believe in extravagant welcome. This is why we insist that God's communion table is open, not closed, and God's gift and claim in baptism are irrevocable. We advocate justice for all. Our congregations extend hospitality as a sign of God's inclusive love. We teach that evangelism — offering bread to those in search of it — is God's mission. Our perspective is global, not provincial. We work with — not against — people of other faiths. Why? Because God is still speaking. We believe the church's mission is to change lives — individually, systemically and globally. We work to make transformation possible, but trust in God's grace. This is why we insist that churches must be places of vitality in worship, learning and advocacy. We are committed to working for justice, and we believe that lives are changed through global experiences and friendships. Why? Because God is still speaking. © 2018 UCC Walker | Website by Midwest Captions, Inc.